Planning a traditional tree and looking for a way to add some twinkle? Not transparent but painted like vintage bulbs, these mini lights pair well with white painted C7 bulbs on a winter wonderland themed tree. How long are these these light sets? These sets are approximately 46 feet long and the bulbs are 4 inches apart. This is a great spacing for Christmas trees and average size projects. Can I synchronize sets together? 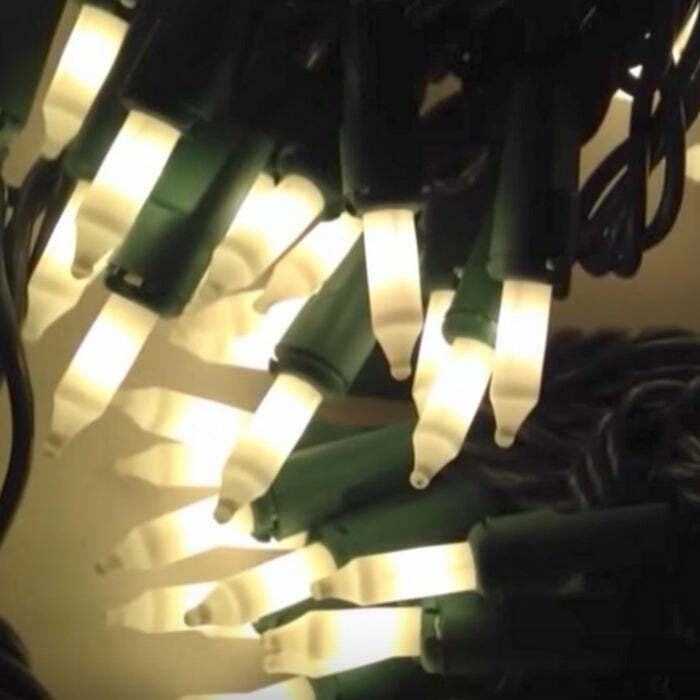 No, these light strings have a single plug and they can-t be connected in series so you can-t synchronize multiple strings of lights together. How many sets can I connect in series? You can-t connect these lights strings in series. They only have on male plug. The plug is -stackable- which means it has -plug holes- in the top so you can plug another set into it and plug both into the same outlet but there isn-t a female plug to allow you to run them end to end.